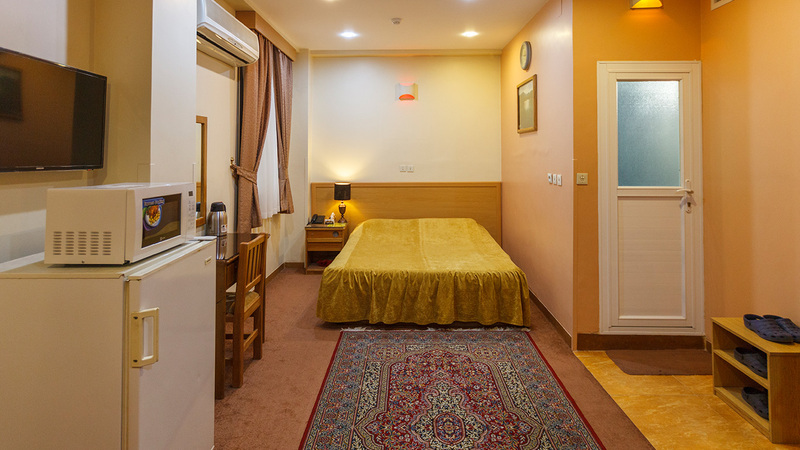 Sasan Hotel is conveniently located in the city center of Shiraz, the hotel is within a short distance from the historical and tourist attractions such as Zandieh complex and Hafezieh as well as shopping centers, making guests be convenient to reach city sites. Boasting a 24-hour front desk, this property also provides guests with a Restaurant, Free WiFi, and an ATM. Each room has a flat-screen TV with satellite channels. Rooms are equipped with a private bathroom with a shower. Guest rooms at Sasan Hotel feature air conditioning and a wardrobe. Parking and a continental breakfast is served each morning at the property. There’s also a coffee shop. In the case of tourist request, Persepolis and City Tour, transfer and local guide with foreign language proficiency is also at hand. Tourist spots located conveniently ten minutes away include the Vakil Collection and the Tomb of Saadi. Just five minutes away is the Arg of Karim Khan. Just ten minutes away is the Tomb of Hafez. For guests convenience, the accommodation has a business center. Whether traveling on business or for pleasure, guests will find a second home in this hotel.